As prices continue to surge, buyers are being squeezed further and further east. In fact, an incredible shift is underway, particularly amongst younger first time buyers who are desperate to enter the market. East has become the new West, as hipsters multiply on Main Street. In June 2017, 60% of East Vancouver condos sold over asking price, that’s higher than the 53% on the West side. 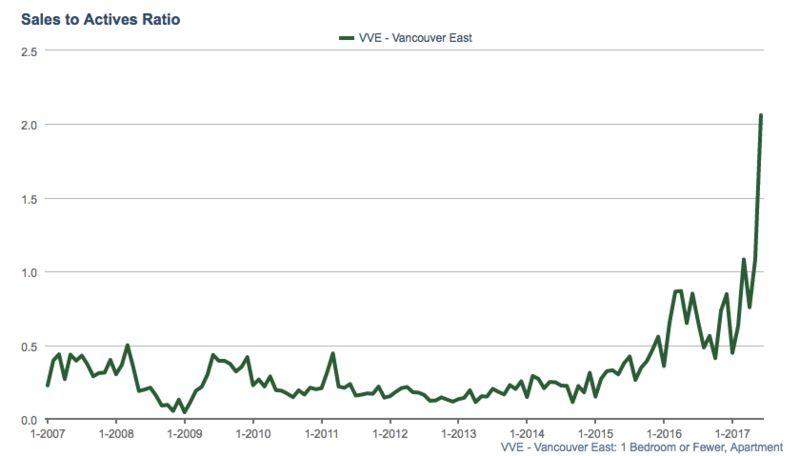 But even more gruesome is the sales to actives ratio in East Vancouver. It reached a mind boggling 148% in June, a new record that has never been seen before. 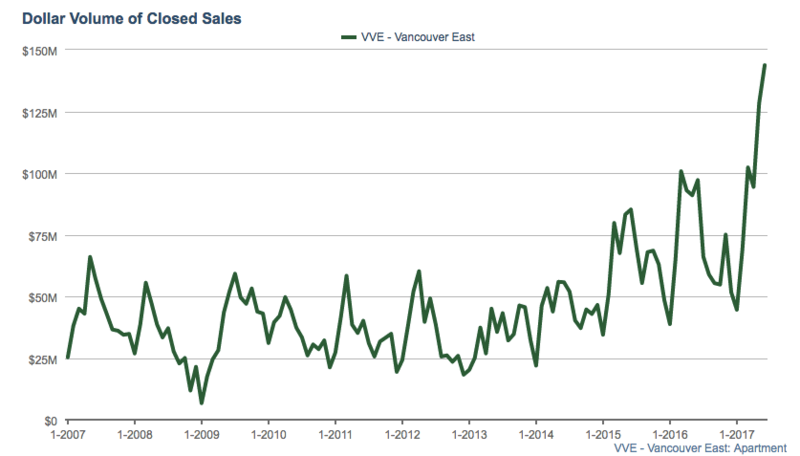 Sales to Actives ratio hits 148% in East Vancouver. Just for context, a sales to actives ratio of 20% is considered a sellers market. The ten year average for the month of June is 29%, so 148% last month is truly considered a blow off top. The demand for one bedrooms is even more fierce. One bedroom inventory has plummeted 45% year over year, pushing the sales to actives ratio to a whopping 206%. That means for every new listing there are two sales. Two Sales for Every New Listing for East Vancouver 1 Bedroom units. 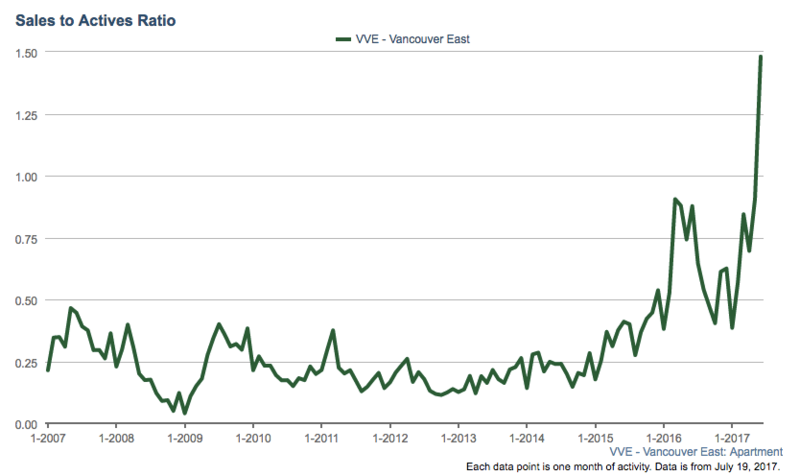 And finally, we have total dollar volume (amount spent on East Vancouver Condos) which surged 48% in June year over year. In the fist six months of the year buyers have spent over $96 Million more than they did in the same period last year. East Vancouver Condo buyers spent over $96M more this year than in 2016.